Repair OST Files ? Single Fit Solution for All OST File Issues! 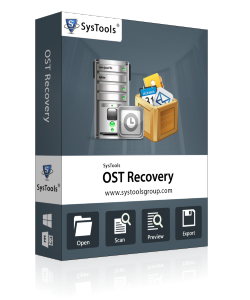 Here is a masterpiece recovery solution if you want to repair corrupt Outlook OST file. In the most unfortunate of the circumstances, where you forget to retain some crucial emails and delete them thinking as obsolete, while later on facing an urgent need to refer to them, our repair OST files tool can vary you repairing those broken & destroy emails from an Exchange OST file. Repair OST files software is adept in performing a full conversion of OST file mailbox data into PST with a view of recovering corrupted OST file contents into a usable form, which is chosen to be PST in most cases, whereby it migrates all data from an unusable, orphan or corrupted OST into PST. This includes your emails (sent ones, received ones, drafted ones, and even deleted ones), contacts (deleted contacts as well), calendar data (deleted entries as well), tasks, to do, journals, events, meetings, anniversaries, birthday reminders and more. Our software provides you a risk free download with no threat of viruses moving into your system as you download or install the tool on your machine.It is completely safe. Demo Is Available – Have a Try! This trial is free! You get the demo version of repair OST files program free of cost. It won’t cost you a single penny to have a look and feel of the repair OST files utility. This will be your first-hand experience of using the tool prior to buying it. Full Model ? Three License Choices! Personal license as the name suggests is for personal non professional use of the repair corrupt Outlook OST file tool mostly in the homes of individual consumers. It is for one machine or system. Business license is fit for enterprises and professional users who want to use the repair OST file utility on multiple systems. If you leverage the tool with this license type, then your usage is limited by geographical boundary and you can use this tool on multiple systems arranged in one office location only. Enterprise license is a higher one than business license where the user is not blocked with any geographical boundary. The organization availing this license can use the repair OST files software on any number of machines in any number of its offices in any regional locations.